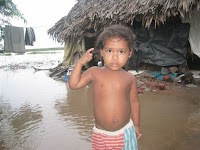 In addition, Children’s Hope India plans on staging 50 MOBILE MEDICAL CAMPS in 50 flooded villages. The cost of this project will be approximately $12,500 to supply medical attention to over 12,000 villagers. Click here to see more and give.